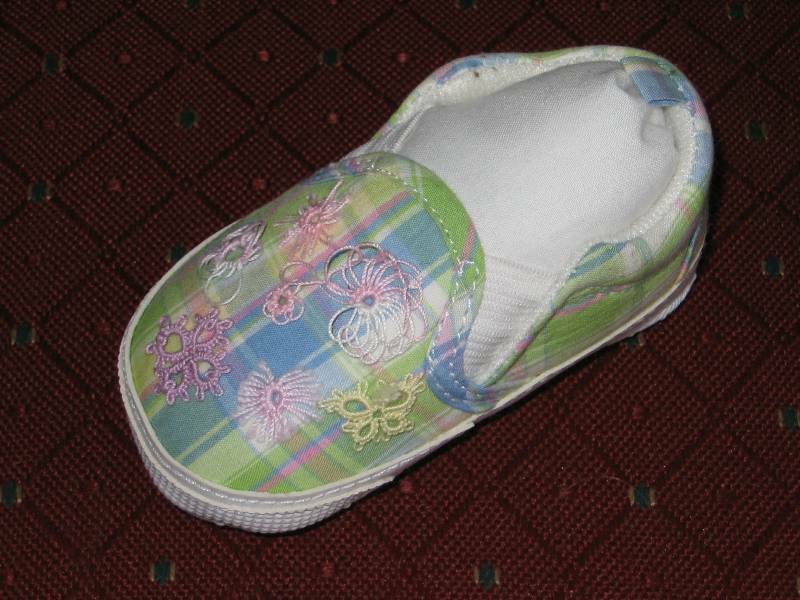 I’m finally getting all my bits and pieces unpacked from convention and stopped to take photos of the techniques we sampled in Georgia’s tatting class. 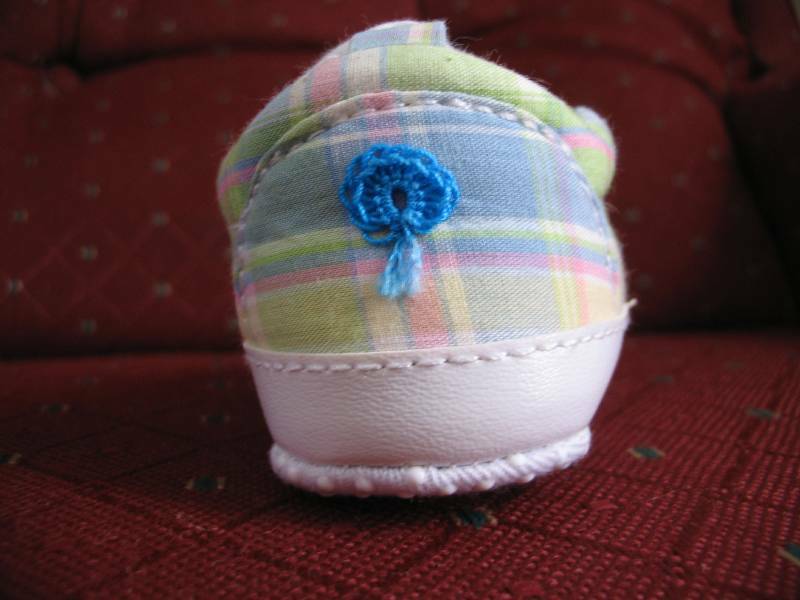 This little shoe pincushion shows some of the different things we did with picots. We snipped some of the picots open, interlaced them before closing, and made little inverted picots that make the ring look like a heart. I loved the interlaced picots – that is something I know I will be using in the future. 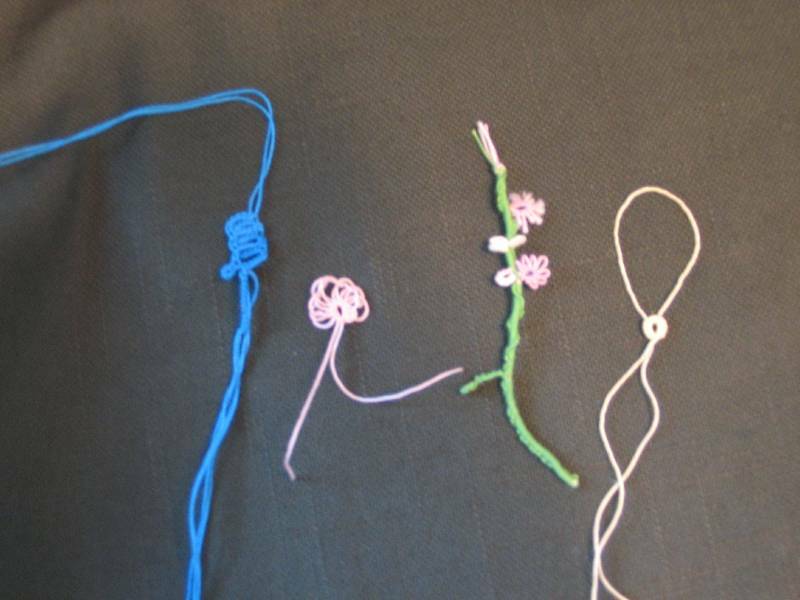 I also really loved the block tatting. I immediately taught my neighbor how to do it also. I think I should have used a larger thread to make this little bell pattern go over the glass bell ornament, or at least added a couple more rows to move the blocks further down so they show off more. 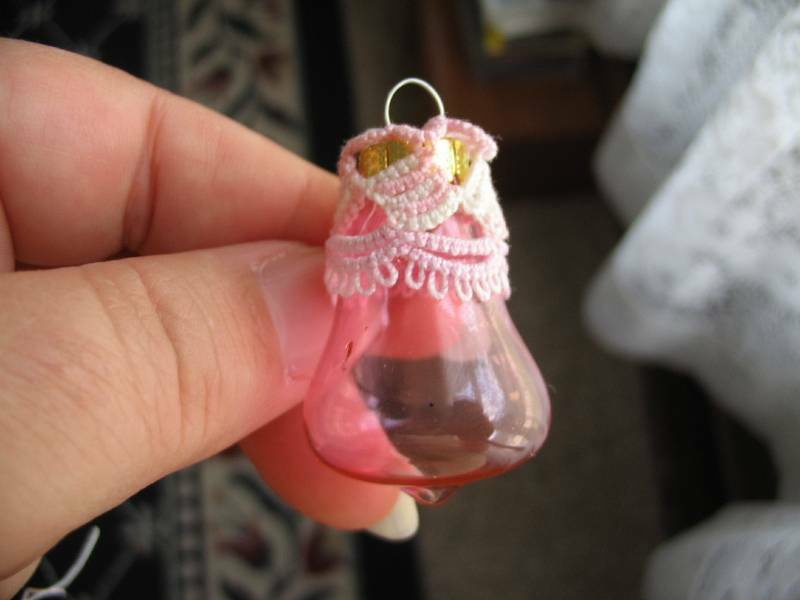 I’ll probably try that; I do like how the pink shows on the pink ornament! Pretty things! You’ve done a lovely job. The pincushion is a cute idea.